The Samsung Gear S, Samsung’s curved smartwatch that wants to be a stand-alone phone, is officially coming to the US “this Fall.” No pricing or an exact release date has been announced by anyone involved, but we do know that Verizon, AT&T, Sprint, and T-Mobile will all sell it. If that’s not enough news and you need Gear S in your life sooner, you can stop by 1 of 125 different AT&T retail stores starting Friday, September 26, to get a look (list of stores). As a recap, the Samsung Gear S sports a 2.0-inch curved Super AMOLED display (360×480), 1.0GHz dual-core processor, IP67 dust and water resistance, 4GB storage, 512MB RAM, 300mAh battery, and runs Tizen (full specs). So no, this is not an Android Wear product, meaning it will likely only work with Samsung’s Galaxy line of phones, just like the rest of their wearables. The unique feature of the Gear S is its connectivity. Through a 3G/2G embedded radio, the device can take calls, send texts, and stay connected to your social feeds at all times without being paired to your phone. 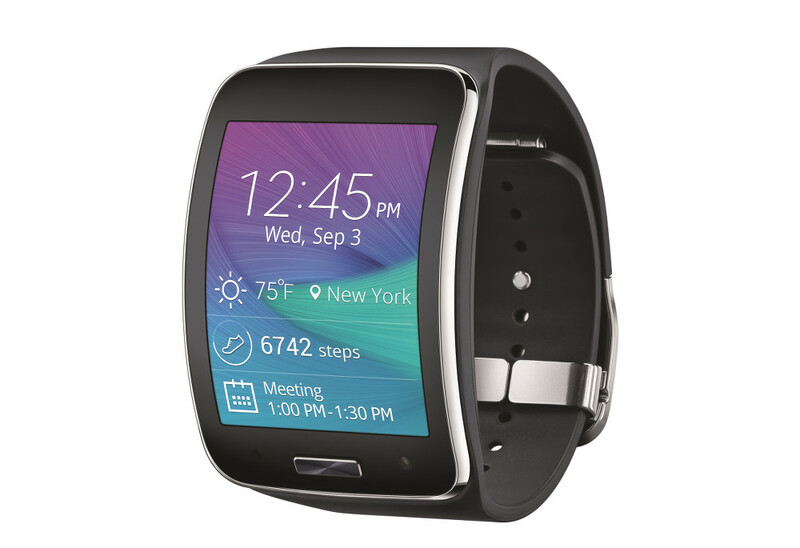 The Gear S really wants to be a phone, on your wrist. I don’t know if any of us need or want such connectivity, but it’s here. The Gear S is one of the first Android wearables to get official Nike+ integration. It also has a home button. A home button. As we learn more, we will be sure to pass it along.